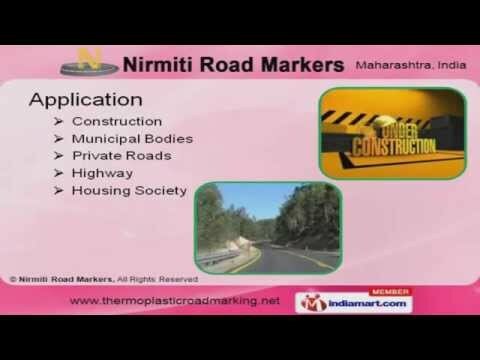 Welcome toÂ NirmitiÂ Road Markers, Manufacturer and Exporter of Road Marking Materials and Services. We are an ISO 9001:2000 and 9001:2006 certified company, established in the year 1990 at Thane. We Cater to Roads, Railway Platform and other segments. Strictly adhere to quality parameters, Advanced methodology and customized packaging make us stand apart from alsoÂ rans. Construction, Highway and Housing Society are some of our application areas. Middle East and South East Asia are some of the major markets. We offer a vast range of Road Marking Services and Materials. Our Road Marking Services are best in the industry amongst others. Commercial Road Marking Services offered by us are extremely reliable. Our Road Marking Materials are available at industry leading prices.